Sight words make up 50-75% of the books your child will begin reading. Children who can recognize sight words quickly will strengthen their reading fluency and comprehension. 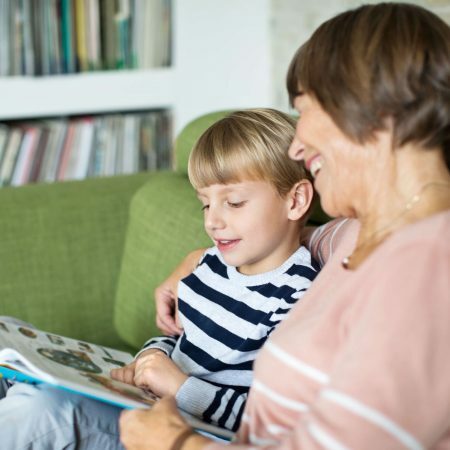 When children can read sight words effortlessly, they can spend their energy on sounding out more difficult words or understanding the story’s meaning. The most important aspect of teaching sight words is teaching kids WHY they must memorize these whole words. Sight words have an important job because without them a lot of books and writing would not make sense. We’re learning them so we can enjoy a good story! As much as possible, point out sight words when you see them so your child cansee their role in stories. Focus on only one or two words for a week. Anymore than this before your child is ready will overwhelm and frustrate them. Remind them that a lot of times sight words don’t follow the spelling and sound rules, they can be tricky! Once you’ve chosen a few words, write them clearly, in large, thick lowercase letters on a piece of paper or notecard. Write only one word per piece of paper or notecard. Have your child color the paper to give it a blue background or use color paper. Using any color will help the word stand out visually and in your child’s memory. You can use these cards like flash cards and review the words each day. Another technique to help student remember words it to “box” the letters. After you have written a sight word on a piece of paper, carefully draw a box around each letter. These boxes will help children visualize the words in their mind so they can retain them. All children benefit from acting out words. Bring a new word to life by creating a movement or gesture to help them build an association to the word. For example, for the word “my”, kids can wrap their arms around themselves and say “my” while looking at the word. For “you” they can point both their hands at you while repeating the word “you” they read from the card. Sight words are meaningless until we know how to use these words in our own conversations. Have your child tell you an original sentence using their new word. This can be challenging, so be ready to slow down with your child as they try to use their new word in a sentence and give lots of high fives when they can use it correctly. Using brightly colored yarn, cut out short (about 3 inches), medium (about 6 inches) and long (about 10 inches) pieces. Lay a blanket or bath towel flat on the floor. Have your child form the sight words they are learning on the cloth using the pieces of yarn. This approach helps commit the word to their long-term memory. Tell your child that sight words appear silently in the world around us. Every time your child spots a sight word out in the world of words, such as on coupon, in a story, or on a piece of mail, they should point it out and celebrate! The purpose of this activity is for students to get excited about recognizing words and to get a boost of confidence from knowing how to read them.